Janakpuri District Centre has an awesome combination of all the items your shopping bag can comprise of. There is a special area for these stalls from where you can get everything from vibrant potlis and bridal clutches to juttis, kurtis, dupattas, junk jewellery and hair accessories. They have everything within reasonable prices. You can buy excellent neck pieces starting at INR 100 and artificial kundan danglers for maximum INR 500. They have a large variety and every iota of your penny is valued here. This is a very old setup with allocated stalls for different products. It's otherwise an open mall kind of a place where you can also find all the brands which you are in love with (think Levi's, Van Huesen etc.). Cleanliness definitely needs to be maintained. 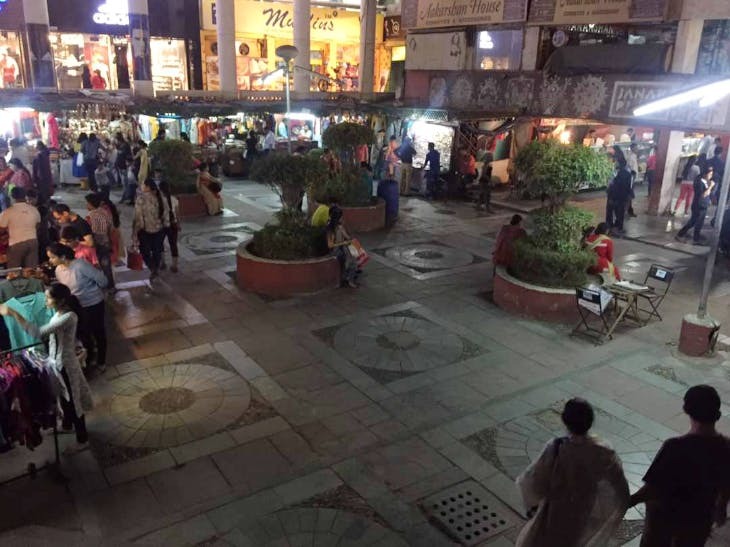 This place has a potential to become Delhi's hot spot if some attention is paid towards the cleanliness of the area. Do bargain as you would in any other flea market. It's a one-stop shop for women... A must-visit place for college-goers as District Centre has a bunch of funky low-priced stuff. They have a few eateries too so you can head here once you're tired of shopping.